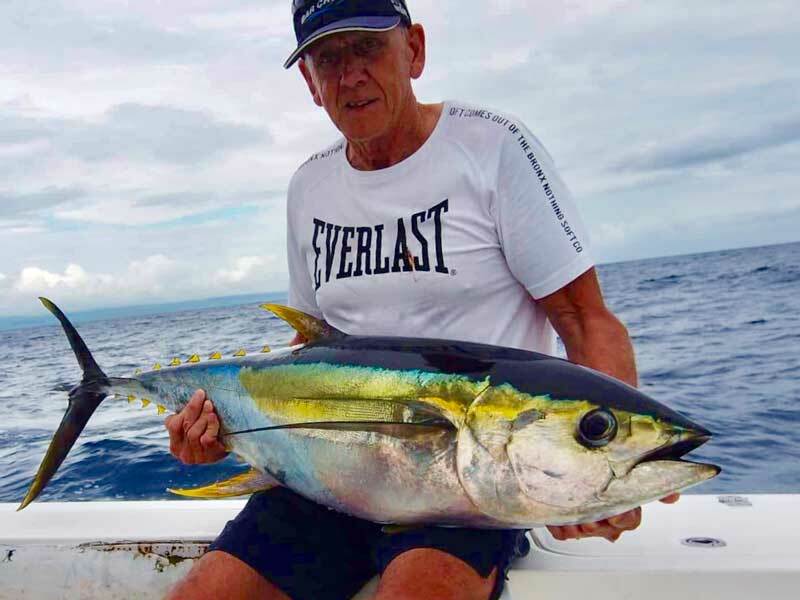 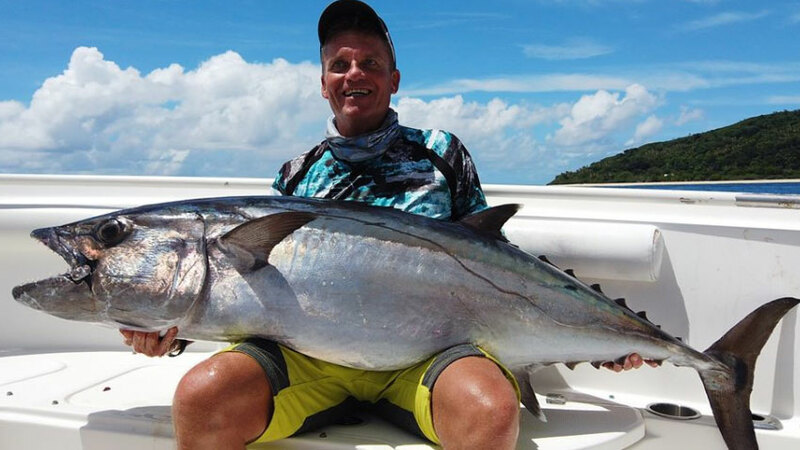 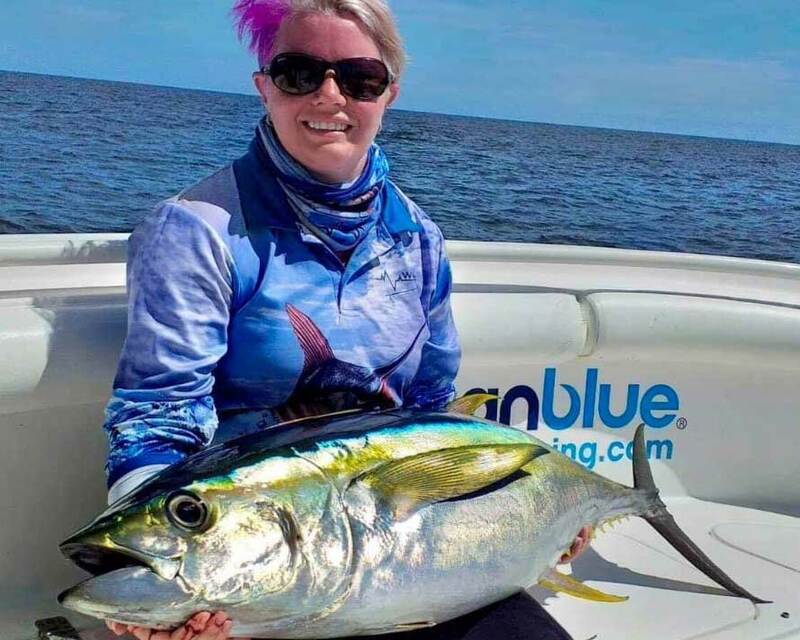 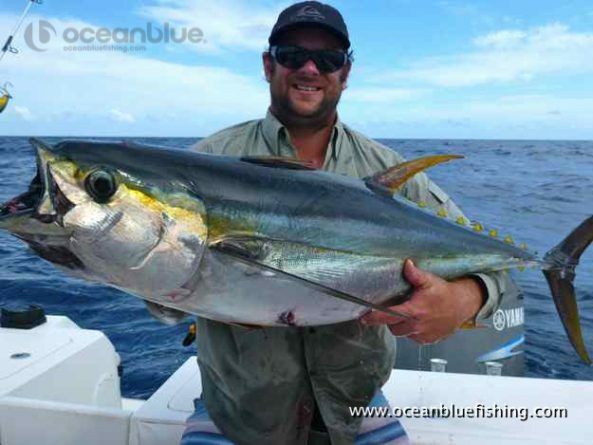 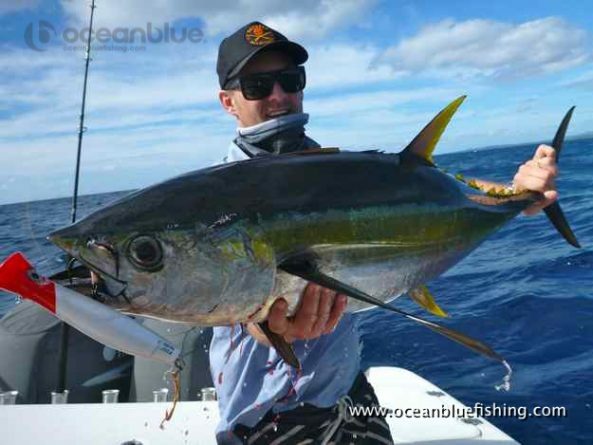 The yellowfin tuna fishery here has been very much boosted in recent years with the placement of a number of offshore FAD’s ‘Fish Aggregating Devices’ some just 15 minutes from our base in perfect blue water. 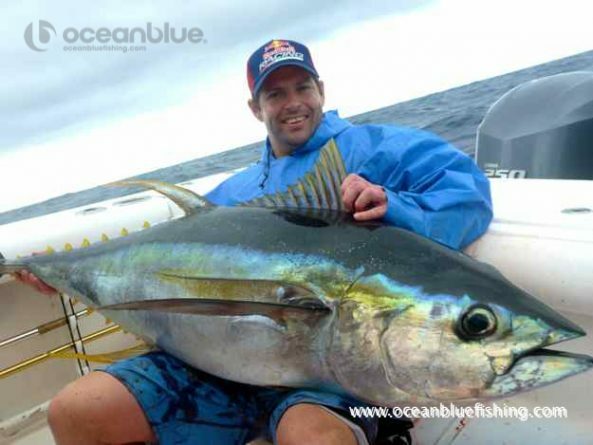 Fishing for Yellowfin Tuna used to involve trolling around the ocean in search of birds, current lines and looking for activity on the surface. 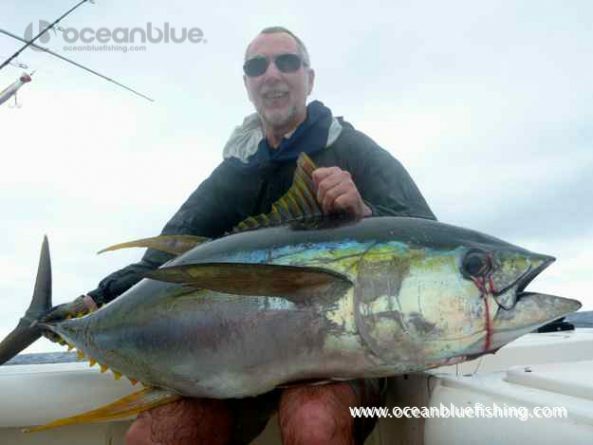 Back then it meant trolling the classical spread of lures behind a game boat, picking off a few fish & sending the rest deep. 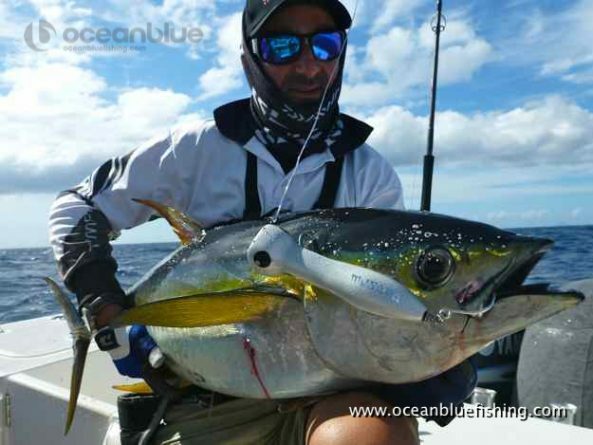 When the first FADs were deployed a few years ago it became much easier to locate the ‘fin as it concentrated them around the mark, as well as many other pelagic species such as mahi-mahi, wahoo & blue marlin. 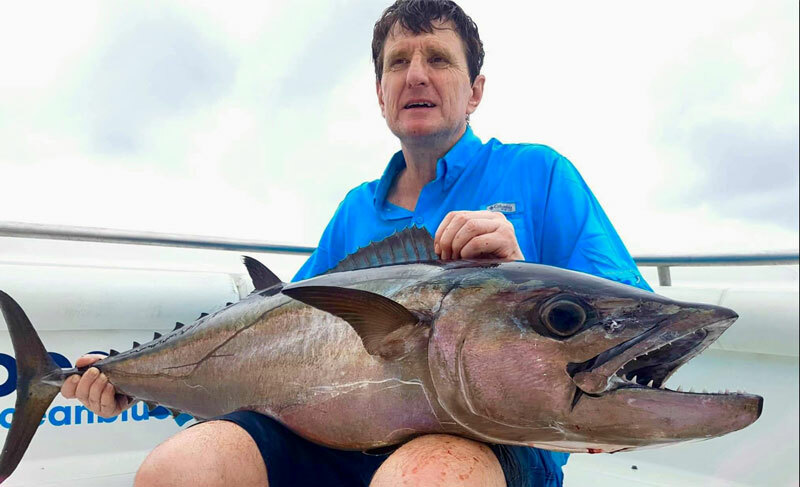 The fish still move around a bit, often relocating FAD’s over the day. 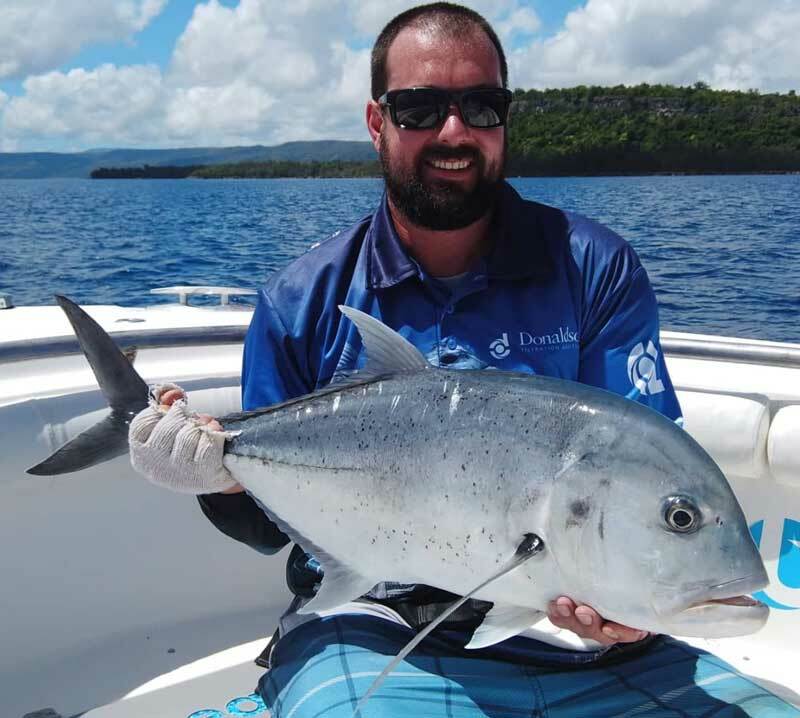 Now in Vanuatu we try all together to to keep an average of 5 FADs operational all year and deploy ourselves at least 3 of them with the closest one being only 15mins from Trees and Fishes. 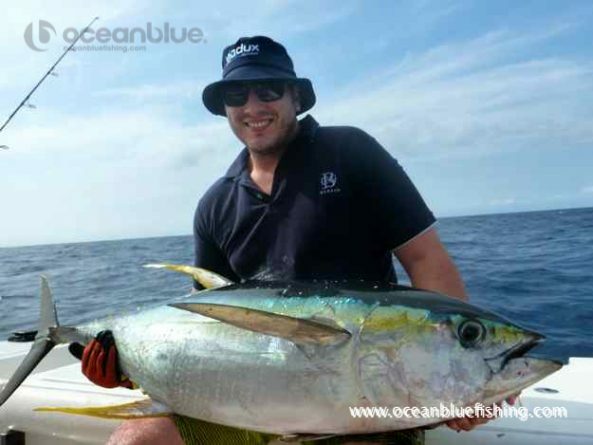 Fishing from EdgeWater centre consoles we position the boat ahead of the fish and drift into range, casting poppers, stickbaits and jigging metals to get best results. 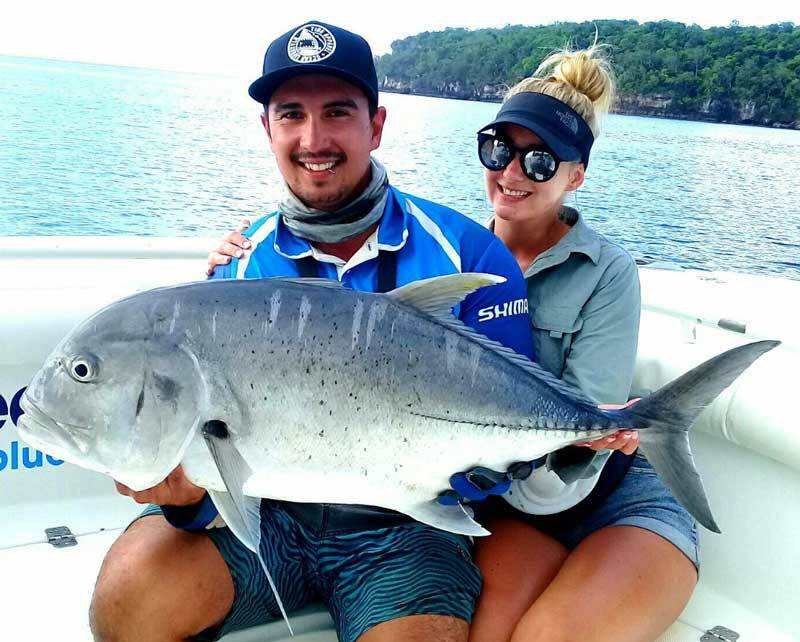 Juvenile fin up to 10kg are resident year round and heaps of fun on light tackle, while fish up to 50kg tend to school & follow the warmer water from November to June. 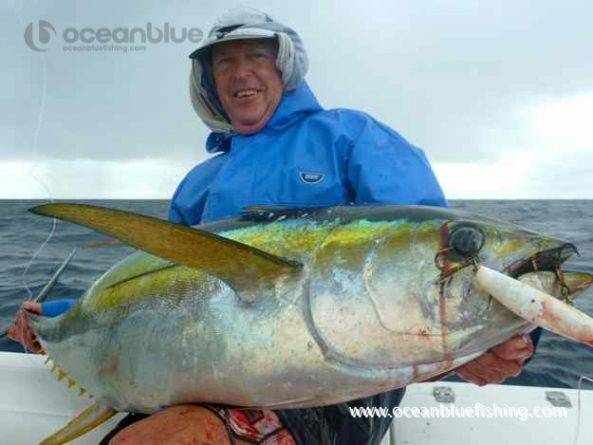 Big fish 50-100kg, tend to be solitary and can appear anytime of year.